The kitchen is the best possible area for a renovation as it is the only area of a house or establishment which can be fitted to have a different look or feel separate from the entire structure depending on what the client wants or requires. These themes are basically created by the presence of the predominant materials planned and performed during the kitchen renovation. 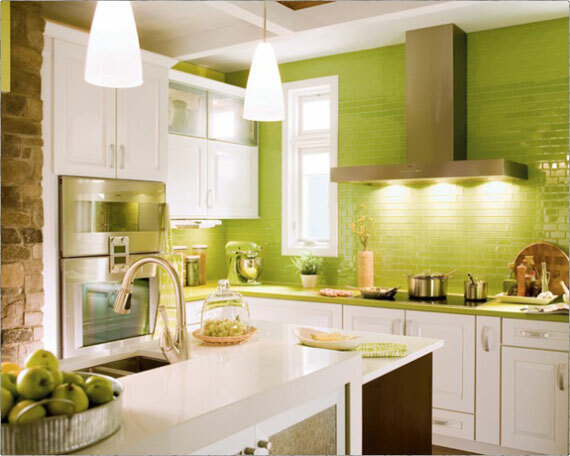 Here are the top three materials known for creating the best kitchen renovation ideas. When a client wishes to have a professional looking kitchen for a kitchen renovation, then steel is the best candidate as the presence of steel in the kitchen exhibits a strong professional sense. This is often chosen by restaurants but can also be used in home scenarios. There are several advantages of steel including its easy maintainability as well as its sturdiness and unparalleled shine. Flexibility is another advantage to using steel when having a kitchen renovation which makes personalizing the necessary kitchen furniture easy to perform such as splash backs and counters. Steel is also highly praised for its ability to dispel the existence of bacteria along its surfaces which makes it preferable for a more sanitary cooking environment. Wood is a handsome material for a kitchen renovation as the effect will bring out an elegant and very homey feel. Ask an interior designer to know what is the best type of wood for your kitchen. Wood can come in a variety of shades but regardless of its shade, it will give the kitchen an air of luxuriousness, especially when it is cleverly paired with the right lighting layout. While wood has everything good in an aesthetic sense, it has to be maintained properly because it is not resistant to water and it can be a possible food source for termites of any breed should termite mounts be left untreated. Marble is another material that gives a kitchen renovation a very versatile look. Stone benchstones are a good example for this. Marble comes in different colors, designs and textures and is preferred for giving the kitchen a deluxe as well as contemporary feel. One of the best known advantages of using marble is its flexibility. It is one of the best known rock-based materials that can easily be cut and shaped into kitchen fixtures such as cabinets, kitchen sink bases and countertops. Marble is also celebrated, not only for its appearance but also for its durability, high resistance to heat, easy maintainability and natural coolness. Marble is also easy to acquire and avail of so having a beautiful kitchen is within reach. Previous PostHow Will You Use Your Shed?